What better way to welcome fall than by watching some binge-worthy TV shows? Snuggle up, settle down and switch off your brain in front of the TV. 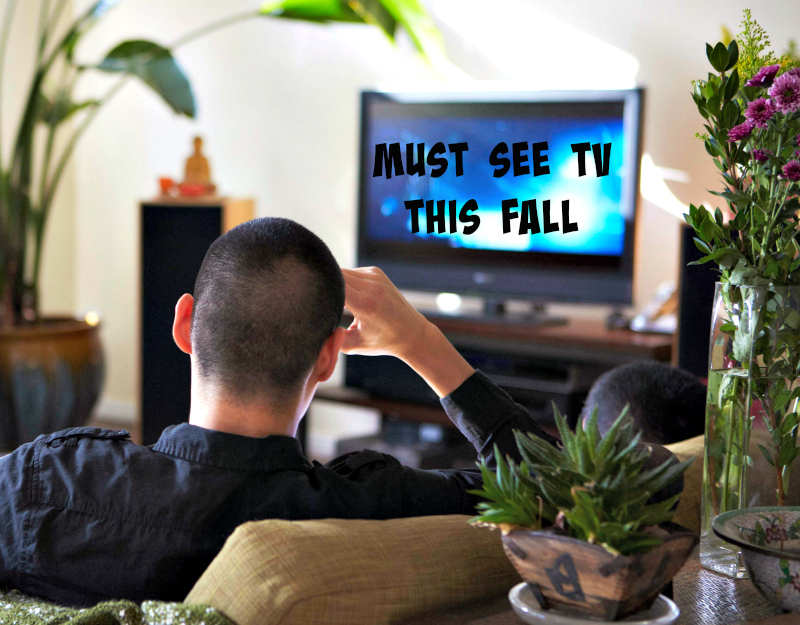 We hope this will help you decide what to watch this fall! The concept: Can this group of travellers stop a villain from changing the past and thus changing the future? Why you should watch: We are intrigued by this kind of twisty trope-filled time party. The concept: This show is a comedy about a confident, unapologetic wife and mother of three, who raises her flawed family in the wealthy town of Westport, Connecticut, filled with “perfect” mommies and their “perfect” offspring. Why you should watch: We like the way they are dealing with what it’s like to be an average-sized women with America’s super-thin ideals! The average American woman is 5’4″ and 166 pounds. The idea of a weekly reality check on what is normal, done with laugh-out-loud moments is something to be watched! The concept: A drama about a selection of people with the same birthday whose lives unexpectedly intersect. Why you should watch: If you are Parenthood fans, this show will fill the hole in your heart. “This Is Us” is, without a doubt, the fall’s most emotionally engaging TV show. The concept: A terrorist attack has claimed the lives of the president and the members of his cabinet, except the secretary of housing and urban development. “Designated Survivor” is part political and part procedural. Why you should watch: The cast is terrific. Kiefer Sutherland is a surprisingly good fit as a man thrust into a situation he doesn’t want to be in. Plus, you get all-around good actor (and real-life ex-White House employee) Kal Penn, playing a White House employee. What will you be watching this season?